Was Jesus born Dec. 25th? And exactly what year was it? Do we even need to know? Does the Bible tell us anything about it? Should we celebrate that day? 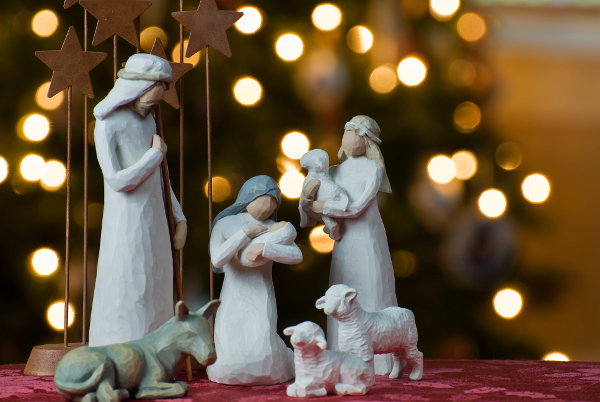 The Bible doesn’t explicitly state the time of year when the Messiah was to be born, and nothing in the New Testament puts great importance on this knowledge. No NT writer cites it as an important event in the Christian calendar; in fact, there really is no Christian calendar. And this in itself may signify the church’s uniqueness as being in a kind of stopped time for the nation of Israel, an interruption of their history. But since church tradition has celebrated Christmas for centuries (historians concur that it was not celebrated earlier than the fourth century a.d.), and since it relates to various controversies over the legitimacy of our faith, we should at least see what clues scripture has given us about it. The Gospel writers gave many details, some emphasizing one angle and some another, that we can use to at least narrow the range of years and time of year, though the precise day cannot be determined. We begin our study by first determining the likely time of year for the birth of Jesus’ cousin, John the Baptist. Luke tells us that John’s mother Elizabeth was in her sixth month when Jesus was conceived, after her husband Zacharias, who was a priest in the order of Abia (or Abijah), was chosen to serve in the Holiest Place one year. The time of year for that order to serve was during Pentecost, which is in late spring. And though we are not told how long after the angel told Zacharias he would have a son that the conception took place, it probably was not a significant delay. So a good guess would be in the month of June, and his birth the following March. Now since Jesus would be born about six months after John, that takes us to September as the likely month of Jesus’ birth. Arguments against a December birth can be found at this article, including the facts that shepherds watched flocks by night in the fall, and the census was unlikely to be taken in the cold of winter. As for the year, Luke tells us that Jesus was born during the reign of Herod. According to this article, Herod was appointed king in late 39 b.c. and reigned for 37 years, ending at his death in 1 b.c. Now we also know that before Herod died, he had all boys under age 2 murdered in a vain effort to prevent Jesus from becoming king. So Jesus had to have been born at least two years prior to Herod’s death, which brings us to 2-3 b.c., since there was no year zero (see this article). So it would seem reasonable to place the birth of Jesus in September of a couple of years b.c. There is nothing at all to connect Dec. 25th to Christianity until centuries after the apostles died. In fact, every tradition associated with what the western world celebrates as Christmas is based purely in later traditions, whose origination had more to do with co-opting pagan holidays than anything else. But does this matter? There is nothing to say we are forbidden to celebrate Jesus’ first coming, let alone how such a celebration should be conducted. Yet by the same token, given the largely non-Christian origins of the traditions, and the complete commercial takeover of the holiday, are we really doing Christ honor by clinging to it as “our” holiday? At best, it is perhaps the last opportunity besides Easter (another non-Christian word for a non-Christian religion, co-opted for church tradition, though at least the right time of year for the actual resurrection of Christ) for Christians to openly proclaim Christ. Yet it can also be considered an excuse not to proclaim Christ every other day of the year. Why do we limit ourselves to two days so ingrained in society that many are called “Christmas and Easter Christians”? If we truly wish to honor Jesus, we must do so every day of the year. There is growing understanding among unbelievers about the non-Christian basis for most C and E traditions, such that our continuing to push hard for our own niche on those days is becoming a criticism and evidence of our ignorance of history. Jesus has become so intertwined with Santa and the Easter Bunny that He is counted as equally mythical. And these are not the days of Constantine, when he could simply order the populace to change the meanings of their former pagan worship. We try in vain to repeat that transformation. Ideally, we would celebrate the birth of Jesus in September, without turning it into yet another gift-buying frenzy, or even demanding a national holiday for it. For generations we have been happy to celebrate Jesus’ resurrection on a special Sunday, so why not the same for his birth? And as for Easter, we need to stop tying it to pagan religion which determines the day as the first Sunday after a full moon after the spring equinox. That is an ancient fertility ritual calculation having nothing to do with the Bible. We can set any spring Sunday we want, since not even the day of Pentecost can be determined that precisely from Biblical teachings on Jewish feasts. In summary, we as the Christian community need to mind our witness in this godless, greedy world. We need to educate ourselves about both secular history and our own scriptures. We need to be aware that any attempt to override or identify with customs that unbelievers know are non-Christian is not helping us evangelize. Traditions are indeed very difficult to break, but we are not here to honor tradition. Certainly we can celebrate secular holidays and have a good time, and exchanging gifts is certainly a Christian tradition worthy of our participation— as long as we don’t go into debt for it or become too materialistic. But it may be time for us to separate ourselves from the materialistic holidays.